At NLC Solutions, we understand the significance of cleanliness in your life and your business. That is why we make it a priority to provide the best possible commercial cleaning services throughout New Jersey, Metuchen included. Whether you need to maintain cleanliness and hygiene at your factory or educational institution, we have got your back. Our company has been in the business for more than 30 years. You can enjoy complete peace of mind that we are a trusted provider of professional cleaning services. Metuchen is a suburban borough in Middlesex County. It was incorporated in 1900 and has a population of over 13,500 residents. Metuchen is part of NJ's doughnut towns. Hence, it is completely surrounded by Edison. The borough has also been a state-designated town center and transit hub since 1996. Metuchen is home to top public schools, such as Campbell Elementary School, Edgar Middle School, and Metuchen High School. Floor Care in Metuchen:An integral part of maintaining a healthy work environment is to ensure the carpets are clean. Our professional carpet cleaning specialists can help you eliminate dust mites, mold, and other allergens from your carpets. Industrial Cleaning Services in Metuchen:We understand the task of upkeep and maintenance of large organizations can cause stress. Leave the cleaning to us, so that extra chores will not cut into your employees' valuable time. Green Cleaning Services in Metuchen:Our green cleaning practices make a positive impact on our environment. Cleaning Supplies in Metuchen:Get stellar cleaning supplies from us at the most competitive rates! 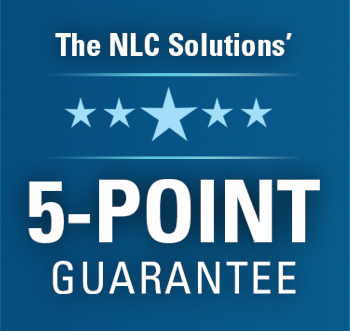 Contact NLC Solutions today by calling (908) 753-3900 or emailing us at info@nlcsolutions.com for more information.